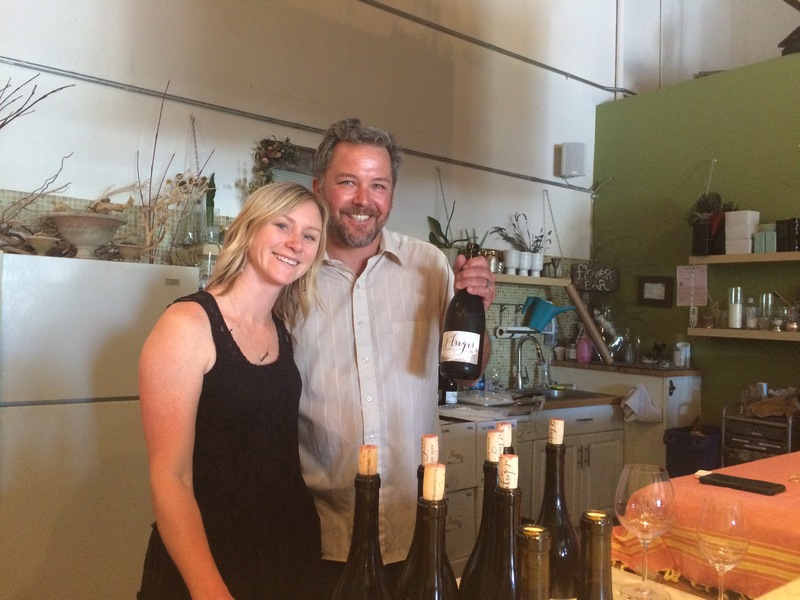 Coby Parker-Garcia and Katie Noonan welcome Pinot lovers to El Lugar. Winemaker Coby Parker-Garcia focuses solely on Pinot Noir at El Lugar (which means “the place” in Spanish). Tucked into a commercial area on Fiero Lane in SLO, the jewel box of a tasting room is open by appointment, and they open for tastings various weekends during the year. The minute you walk through the door, if feels as if you’ve been transported to the cozy living room in a friend’s country estate. Comfy couches, country touches, and an abundance of restful floral influence—thanks to business partner and wife Katie Noonan’s floral design business, The Petal Club—make this winery an unexpected treat. And the wines? Some of the best Pinot Blanc and Pinot Noir around. Parker-Garcia sources grapes from top-quality vineyards, and the results are wonderful. Do call ahead and make an appointment. You’ll enjoy every minute of the experience.